for giving me the inspiration and help to transform my site from a limited WYSIWYG program to all my own design. Last but not least, my heartfelt thanks go to my good friend "Cousin Jim" Mitchell (of Bartlesville, OK. and Hermosa Beach, CA.) for providing me with useful material and information, and for being an invaluable companion on my trips to Oklahoma, Kansas and Los Angeles. An extremely well researched book, trying to dig out the truth behind the legends. Interestingly illustrated, as good as possible account of the Coffeyville raid. A mess of “may, or then again may not be true” tales of the Daltons. Either not very carefully researched, or following his own agenda. Plenty has been written about the Dalton gang, the famed Oklahoma outlaws, and their story ends at Coffeyville, Kansas. But one of them survived. His life after the disastrous bank raid is mostly covered by just a handful of sentences. I wanted to know more about the man. And I thought I’d like to share what I found. For a quick look at his life, please see Emmett Dalton Timeline. You can also choose specific subjects from a list of topics . In the May 1966 issue of Real West Harold Preece wrote an article “The Truth about Emmett Dalton”. He describes Emmett as a harmonica playing, self-centered, boastful idiot. I do not know where he might have gotten his information from. It does not fit with anything I have found. His article is so full of false myths and incorrect statements, that I cannot see any value in it. 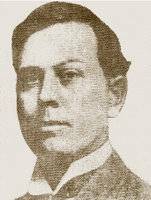 Emmett was born on May 3, 1871, near Belton, Missouri, to Lewis and Adeline Dalton. He was their eleventh child (more about the Dalton family). After living on the southside of Coffeyville from 1880 to 1883 (see their house), the family moved to the Indian Territory, near Vinita. Emmett wrote in his book When the Daltons Rode (1931), and this seems to have become an accepted fact, that in 1887 he worked as a cowboy at the Bar-X-Bar ranch in Triangle Country. There, and at the nearby Turkey Track ranch, he conveniently met ALL the future gang members. Together as buddies they had wonderful, carefree times. I don’t believe this. Rather, as Emmett wrote in Beyond the Law (1918) about the gang coming together: “There were plenty of others like us in that country, and it was not long before the masonry of those in trouble brought us together.” Also, Levi Allen told he had worked with Emmett at a ranch owned by Mr. Courtney (this information kindly supplied by Dane Burns, whose great-grandfather was Levi Allen). This ranch was located not far from Vinita. It makes sense for young Emmett to stay near his home. His brother Frank had gone to work as a deputy U.S. marshal. 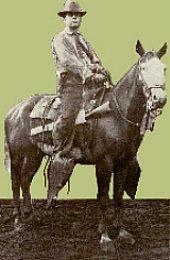 He was killed by whiskey runners in November 1887. At that time Bob Dalton (b. May 13, 1869) had been working as a posseman for him. 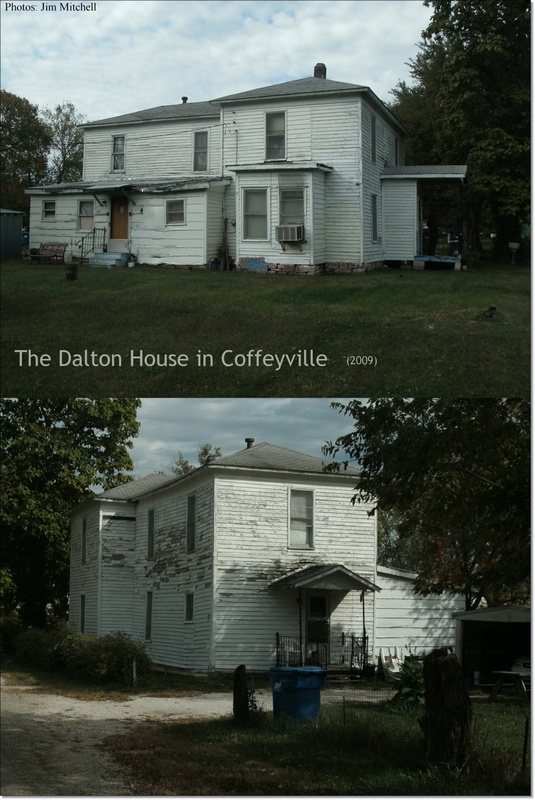 Frank was buried at Coffeyville, and the Dalton family moved back near Coffeyville. Another brother, Grat (b. Mar. 30, 1861), came from California and became a deputy. Bob carried on as a posseman. Before long Bob also became a deputy and Emmett joined his brothers as a guard and posseman. Since childhood Bob and Emmett had run together. Emmett looked up to Bob, and would follow his wild and reckless brother with eventually disastrous consequences. By all accounts the Daltons were considered good officers; brave, friendly and polite. There is one exception, Ninnian Tannehill said: “…when the Dalton boys were U.S. Marshals they were cold and cruel. While I was in Fort Smith, the Dalton boys came to a place close to Fort Smith to arrest a boy. He was staying with his sister and her husband in a tent. As the Dalton boys approached, the woman came out of the front of the tent with her baby in her arms and they shot her through her breast; the ball passed through her body and for some time I helped to care for her and she finally recovered. The men shot and killed her husband but the boy, her brother, escaped by leaving the thirty-foot tent by the rear (Indian Pioneer-Papers).” I think this story can be totally dismissed. If there was any truth in it, it would surely have appeared earlier somewhere else. March 21, 1890, Bob and Emmett were arrested for “introducing intoxicating liquor into the Osage Nation on Dec. 25, 1889.” After a hearing, Emmett was acquitted. All agreed he had stayed on the road some distance away. Bob was released on bail to appear at a trial Sept. 1, 1890, which he did not do (more details of this incident can be found in The Dalton Gang Story by Nancy Samuelson). They also accepted bribes from those arrested as Bob was having trouble getting paid. Lewis Dalton died on July 16, 1890, and it seems that Bob and Grat sold his stock of horses. They started dealing in horses. After selling some stolen horses, the word went around that Bob, Grat and Emmett were stealing horses all over the place. Emmett and Bob left the country while Grat was arrested. He was later released. Next they turn up in California, around the San Joaquin Valley, where more of the Dalton boys were living. Bob and Emmett went to stay with Bill Dalton (b. 1865) on the Estrella river. They were footloose and fancy-free young men from a rough country, and were considered rather wild by the locals. They carried their guns at all times and liked to practice their shooting skills. Mary True and her sister Helen Kennamon recalled their father, Charles True, who had been about fifteen at the time, saying the Daltons used to lie on their backs in the barn and try to shoot through the holes in the roof. Bill, too, seemed to have had a wild streak in him. Grat arrived a little later with news to Bob and Emmett that officers in the Indian Territory were wanting them. Then there was an attempted train robbery at Alila in the evening of Feb. 6, 1891. Two masked robbers had entered the engine. In the heavy shooting between the robbers and the express guard, the fireman got shot and later died. The robbers rode off empty-handed. The next day it was reported that in the morning Sheriff Kay of Tulare had found very distinct tracks of three robbers and he sent a posse after them (at the trial of Grat Dalton, Sheriff Kay mentioned only two sets of tracks leading away from the scene). The trail led to the Coast Range mountains. Other officers were looking in different directions. It was believed the men were the same that had perpetrated the earlier robberies at Pixley and Goshen, though the trainmen considered these robbers as novices. Several persons were suspected. On February 12, Grat Dalton was arrested in Fresno by Detective Hickey, who was very close-mouthed as to the reasons for the arrest. There were many at Fresno who would be able to testify that Grat was there on the night of the robbery from as early as 9 o’clock, playing poker nearly all that night. Grat was released but shadowed. Last week of February he was arrested about 12 miles north of Paso Robles (Bill’s place, perhaps?) on suspicion of being one of the Alila robbers. On March 2, Cole Dalton and a man named Jack Parker, who worked for Cole, were arrested at the same place for the Alila robbery. The detectives claimed to have evidence to convict and were confident that they had the right men. But again the officers were close-mouthed and would not give any details. According to another account, Cole was arrested as an accessory, Parker as a witness, and detectives still after the three robbers. However, Cole and Mr. Parker were released. Detective Smith was still scouring the mountains, by now probably after Emmett and Bob. On March 12, Bill Dalton was arrested. He admitted that he had hidden Bob and Emmett. Officers claimed that they had cleared up the Pixley, Goshen and Alila robberies, and that other arrests would soon be made. Bob and Emmett, now being the main suspects, felt the heat and took off back to the Oklahoma and Indian Territories. Grat and Bill were held for trial concerning the Alila robbery. Grat was convicted even though he had been miles away, Bill was found not guilty (again, for more details, see Nancy Samuelson’s book). Did Bob and Emmett do it? There had been train robberies before Alila in the area and the only bit of information on the robbers was that one was tall and straight, the other short and heavy set. The same description apparently was given after the Alila robbery. The evidence at Grat's trial concentrated much on the tall and short man, and their movements before the attempted robbery. From a photograph, Bob was usually recognized as the tall man. The short man could have been Grat, or someone similar in looks. Bob was tall, Emmett heavier set but close to Bob in height. 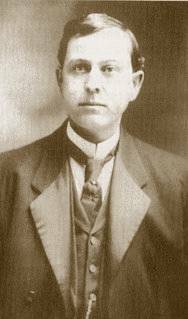 Emmett would later claim they were wrongly accused and that this had directly caused them to become train robbers for real (After the Coffeyville raid, Ben Dalton said the same thing, stating that Bob and Emmett escaped because of circumstantial evidence against them. Read Ben Dalton's interview). But, as we shall see, right after the Coffeyville raid when he had been captured, Emmett confessed that Bob and Grat had been involved, though the date was given as January 1890. Other train robberies that he confessed to, were the same he admitted later as the work of the Daltons. Also, very strangely if they were innocent, he does not mention the California incident until he wrote his first book as a reason for them going astray. Why stay quiet about something so pivotal in your life for so long? Obviously Grat was not involved, but perhaps Bill was. This is purely speculation on my part. Bill was shorter and stockier (“short and stout,” according to one article) than Bob, had no love for the railroads, and was a bit of a joker. Bob might have been bored with life in the more sedate California. Extra cash would have been handy, if he and Emmett intended to travel further afield as they worried about officers being after them due to the trouble in the Indian Territory. A train had been robbed at Pixley in February 1889, another at Goshen January 1890, so it might have seemed another one should be due. Maybe Bob and Bill did it for laughs, thinking they could get away with it. 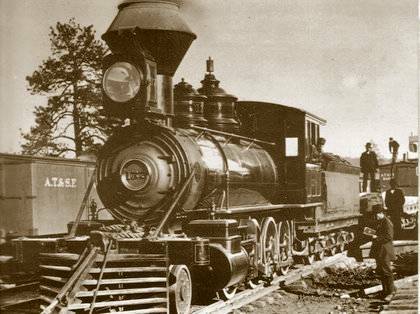 Bill had been a respected citizen and would have found plenty of assistance at his trial, especially as the Southern Pacific railroad was much hated. It could have been Bob and Bill entering the engine, with Emmett outside ready to give support. Obviously Emmett would not indicate Bill in his confession at Coffeyville as he was still alive. I might be totally wrong, and it is impossible to find out what really happened. Strangely, both Bill and Grat had told the officers on several occasions that Bob and Emmett did the robbery. Normally you would not expect anyone to shop their brothers, not even in jest. Seemingly not taking anything too seriously, Bill had also said that Bob and Emmett were wanted for murder back in the east, and that his older brothers had robbed a train when they were but sixteen and eighteen years of age. Bill was described as a free talker. Grat escaped from jail and went to join Bob and Emmett, Bill relocated to Kingfisher, O.T. The train robberies in the area continued after the Daltons had departed. But now the Dalton gang became the topic of the day across the country. All sorts of stories about them were printed as far as Pennsylvania. The Daltons were blamed for nearly all the robberies that took place at that time. The following item had appeared in a Visalia newspaper on August 11, 1892: “California is getting up a reputation as notorious as Oklahoma and Indian Territory regarding train robberies. Those Dalton boys must travel on the fastest trains to be able to bury their treasure in Indian Territory one week and rob a train here the next. If a company of trappers were to be robbed at Hudson Bay tomorrow the Daltons would get the credit. While officers are chasing the Daltons, other highwaymen are committing robberies and stepping aside to watch the officers hunt the Daltons (from Dalton Gang Days by Frank F.Latta).